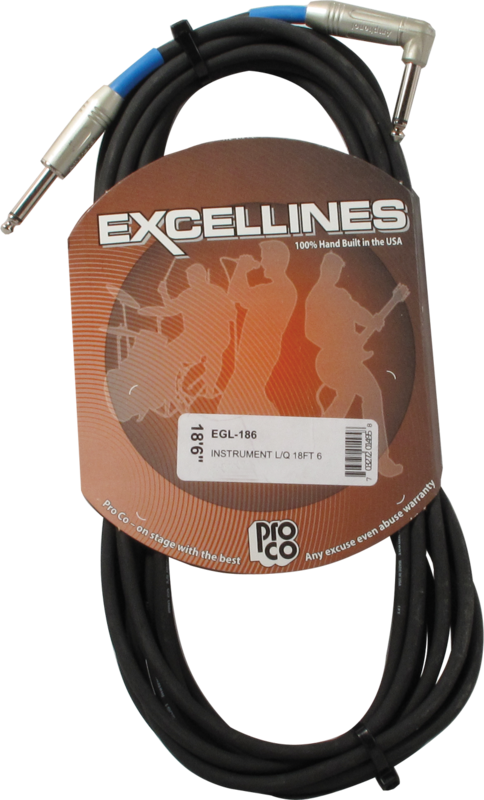 ProCo Excellines instrument cables are excellent quality cables. This is by far our most popular style of guitar cable. Made in USA. ProCo cable is the world renown industry standard. The excellines cable are the musician's choice when it comes to guitar cable made with G&H ¼" BigFoot straight phone plug to ¼" Bigfoot right angle phone plug. Outer Diameter Max 0.23 in. Packaging Dimensions 13 in. x 7.1 in. x 1.1 in.